Maybe you already saw my footer and were wondering about the postcard comments. I love postcards and thought it would be nice to get postcards from people who enjoyed some of my posts or open source projects. After a while I thought no one would do this these days - it is easier to send an email than a postcard. 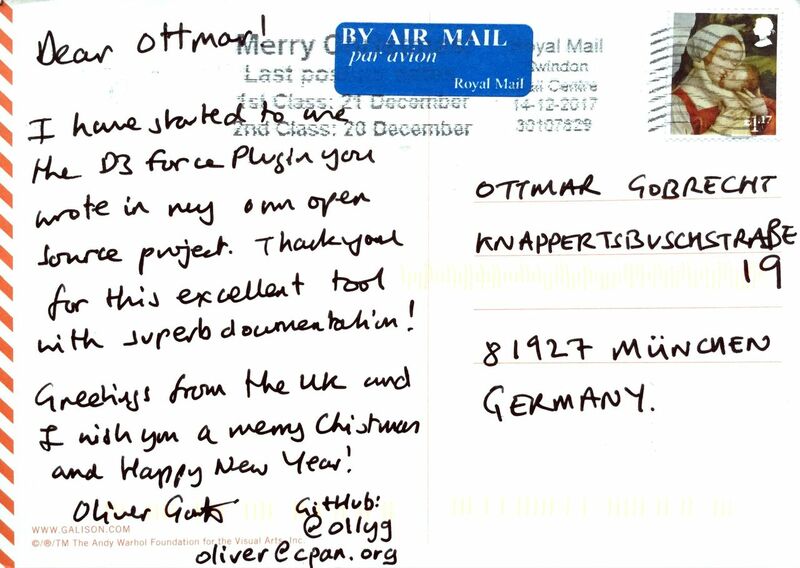 I asked him if I am allowed to publish a picture of his postcard - for Oliver it is ok. I can only show you the back side because of copyright reasons - if you are interested in how the front side looks like, do a short internet search for 'Queen Elizabeth II of the United Kingdom', Andy Warhol, 1985 or use this Google image link.